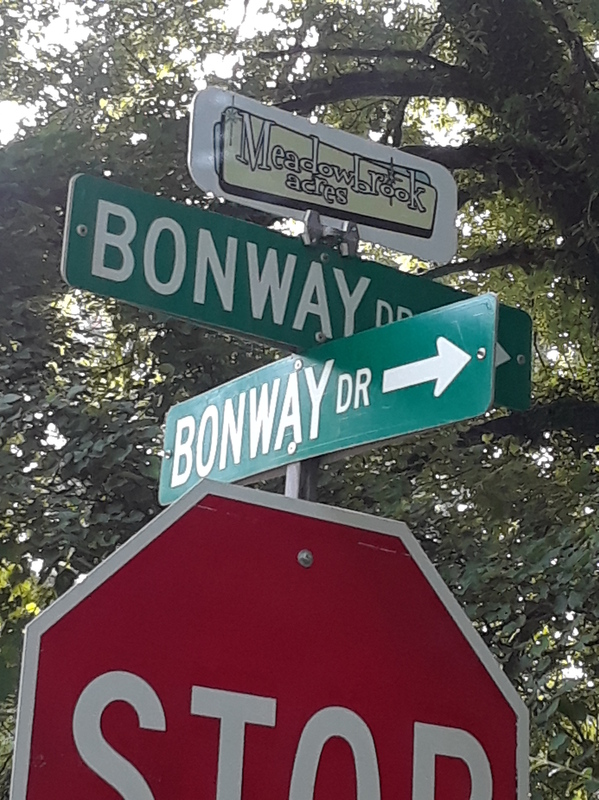 Meadowbrook Acres, a Decatur, Ga neighborhood bounded by Memorial Drive on the west, Peachcrest on the East and North and Midway Road to the South petitioned and received approval for street sign toppers in their neighborhood from DeKalb County in March 2018. With a grant from Towers Action Group they were able to receive funding for purchasing and installation of the street sign toppers. The street sign toppers were installed June 2018. The Mid Century design of the community’s logo was designed by neighbor Buddy Finethy. You may have seen many of his designs at Mellow Mushroom and now at his new restaurant, Hawk & Ale in Marietta. DeKalb County Commissioner Larry Johnson was instrumental in guiding us through the process. Meadowbrook Acres is a success story in DeKalb real estate. Home prices have risen steadily in the past 5 years with one, 3326 Betty Circle, recently sold for $300,000 and another, a beautiful renovation from HausZwei Homes being marketed for $289,000 (see link below). HausZwei Homes has bought and renovated over 10 homes that they have sold or currently rent and are a member of the Meadowbrook Acres Neighborhood Association. Below is a link to the home as featured on Zillow. Contact Kevin Polite, Solid Source Realty, Inc. 404-299-7100 if you have any additional questions regarding real estate in 30032 or would like the names and numbers of individuals that live in the wonderful community of Meadowbrook Acres.